Heim Ins Reich (Home in the Nation): Nazi slogan for the policy to annex territories lost in WW1 with majority German populations back into Germany. 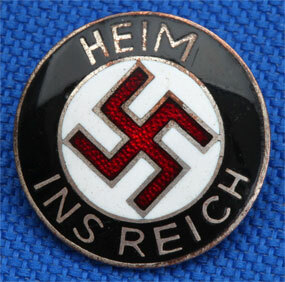 For German NSDAP supporters living in the Principality of Luxemburg France. 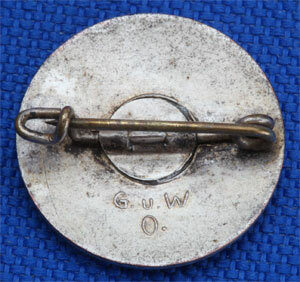 An early enameled and nickel plated tombac badge, 23 mm, unidentified maker G.u.W O., excellent enamel, light wear. Krim - Heim Ins Russ!